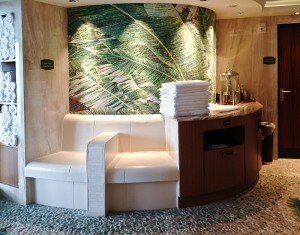 I recently sailed on the Disney Fantasy and had an opportunity to tour Senses Spa & Salon. 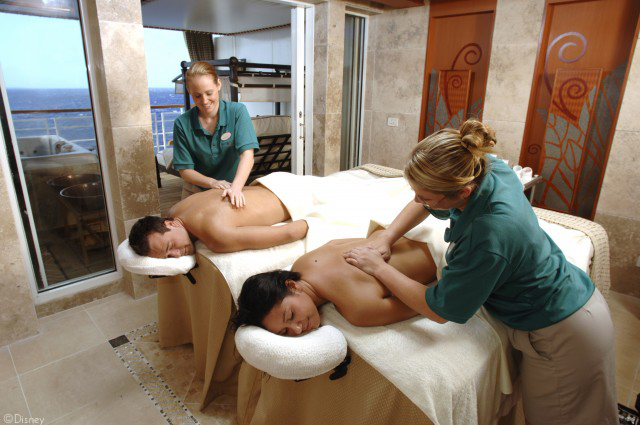 It offers therapeutic and personal care services in a beautiful retreat spanning decks 11 and 12. Senses was very similar to spas I’ve been to in some of the nice hotels on the Las Vegas strip. They provide spa treatments, massages, body wraps, facials, aromatherapy, manicures, and pedicures – as well as a rainforest-themed aromatherapy steam room and sauna. The only differences I noted were the amazing views of St. Thomas (where we were docked that day) and the price of only $16 for the day. While most of Senses Spa & Salon is for adult guests 18 and older, Chill Spa offers a wide variety of spa services and treatments, including facials, manicures, scrubs and more in an area just for teens. Senses Spa & Salon features a design that is soothing. The color palate of natural green, blue and soft brown hues, organic tropical motifs and rich, dark woods give it a calming effect. It was really very nice and right away I was sorry that I was only there to take a tour. 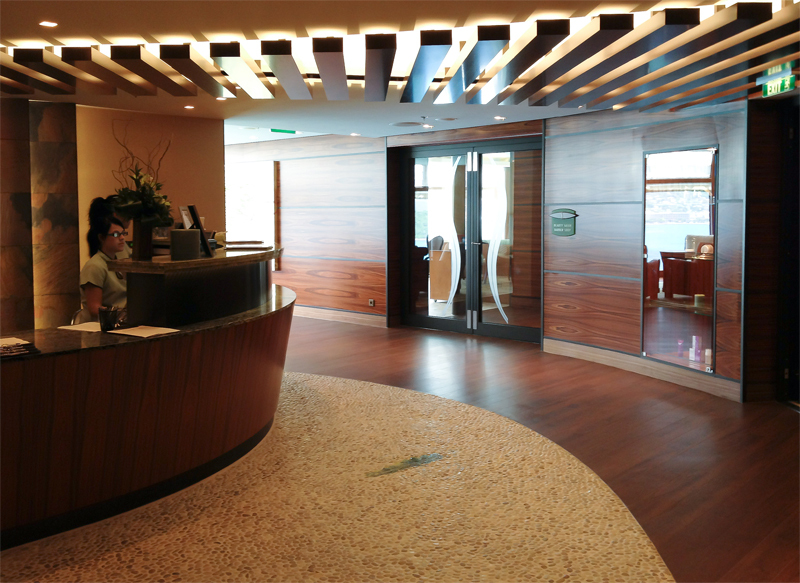 In addition to 17 private treatment rooms, the spa is divided into several spaces. Some are very intimate while others, like the gym, are much larger than you would expect. Rainforest is an area that offers the benefits of steam, heat and hydrotherapy combined with aromatherapy to relax your mind and body. Specialized areas include a steam bath, steam room, tiled sauna and aromatic showers that evoke everything from a waterfall to tropical rain to a refreshing mist. You can enjoy the gorgeous ocean views while reclining in heated mosaic tile relaxation chairs, or lounge outside in one of two whirlpool hot tubs on the private teak deck. I think I may be going on another cruise just so I can spend a few hours in this area alone! I suppose some people can only take so much relaxation. 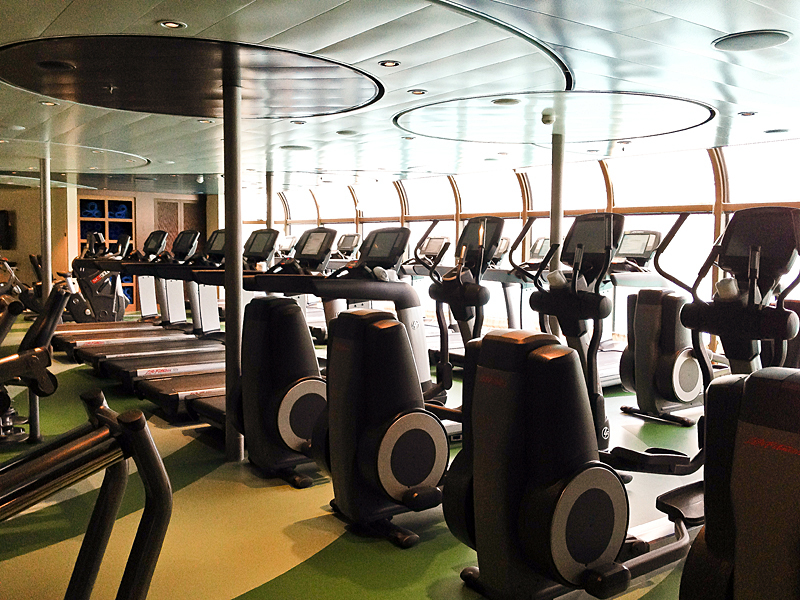 For those poor souls there’s a fantastic ocean-view gym. It is nearly 2,500-square-feet in size with state-of-the-art exercise equipment and complimentary group classes such as yoga, Pilates, aerobics, stretching and spinning. Additional Senses offerings include manicures, pedicures, hair salon services, a barber shop, and even teeth whitening at the Smile Spa – yup, I said teeth whitening! For the ultimate indulgence, there are two lavish couple’s spa villas. The villas feature an indoor spa treatment suite connected to a private outdoor verandah with personal whirlpool hot tub, shower and a plush, double lounge chair. These rooms were in use when I was there and I figured the couples using them probably wouldn’t appreciate me sharing photos online. I did find one of Disney’s photos to give you an idea of what the rooms are like though. 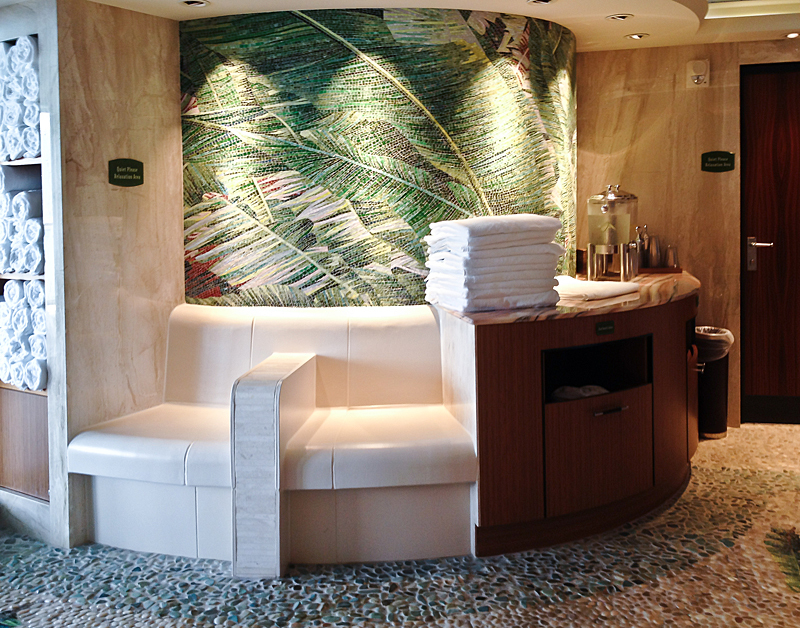 If you’re looking for relaxation and tranquility aboard the Disney Fantasy, I’d definitely plan to spend some time at Senses Spa & Salon. 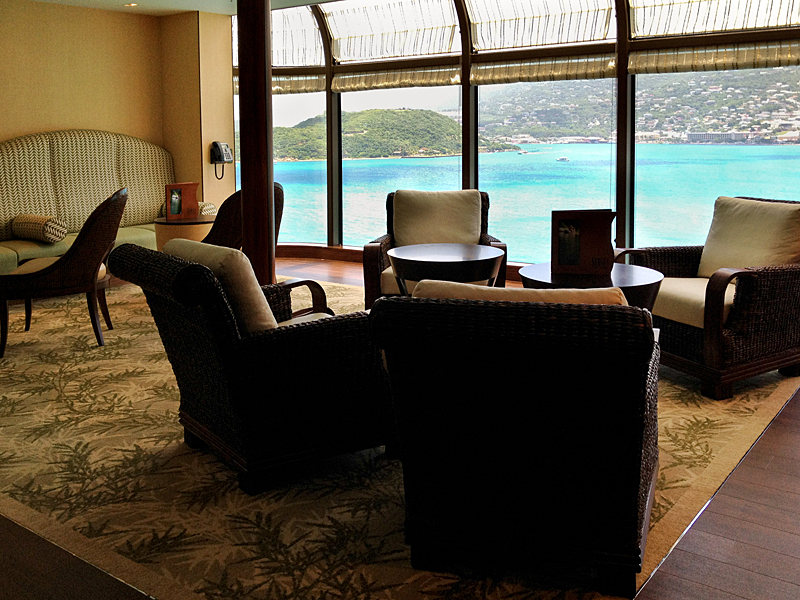 It’s a perfect place to completely unwind and pamper yourself – because, of course, cruising is so stressful after-all!